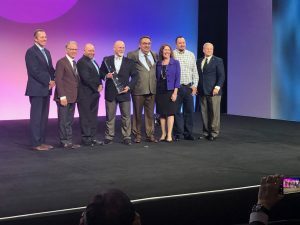 Lakewood, CO — Encore Electric was named the 2019 Construction Safety Excellence Awards (CSEA) Grand Award Winner by the Associated General Contractors of America on April 3, 2019. The Associated General Contractors (AGC) holds the safety awards program every year to recognize the safest contractors in the United States in multiple divisions, including building, specialty, highway and transportation, and more. According to the AGC, the purpose of the awards program is to recognize construction firms who are the best of the best with regards to safe working practices. Each application is reviewed for company management commitment, active employee participation, safety training, work site hazard identification and control and safety program innovation. Encore Electric was selected because of the company’s culture of safety, as well as the innovative safety programs undertaken by the team in the past few years. More than 50 companies made it to the national competition out of hundreds who submitted written applications with their local chapters. The finalist companies were then expected to present to a panel of nationally recognized safety experts during the week of April 1. During the event, Encore Electric was also named the first place award winner in the category of Specialty Contractors, 1.25-4 million man hours. 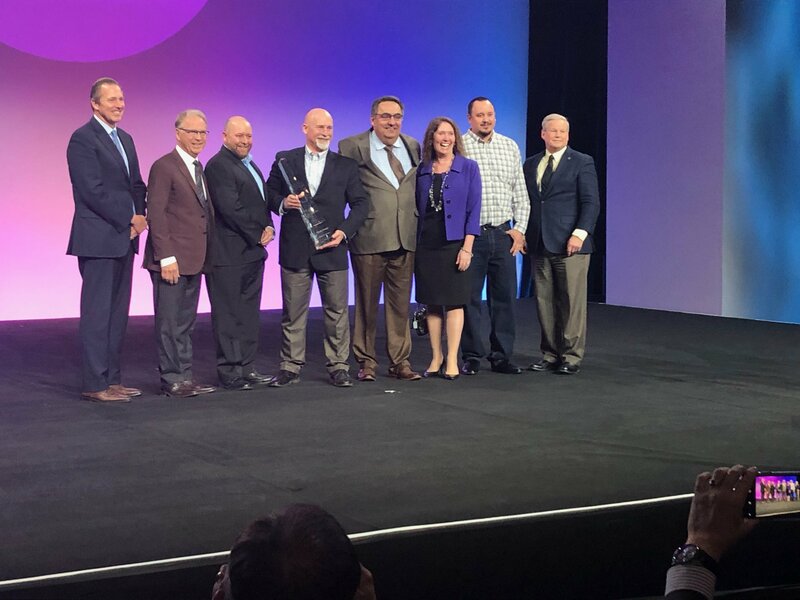 Encore was recognized during the CSEA Luncheon held during the National Associated General Contractors Annual Conference, held on April 3, 2019 at the Colorado Convention Center. About Encore Electric: Founded in 2003, Encore Electric, Inc. was established to serve clients in the Rocky Mountain West to address complex and technical projects for developers and top consumer brands with electrical construction, technology solutions and maintenance services. Recognized for safety, design and quality by industry organizations and customers, Encore credits the talent and work ethic of its more than 800 team members. Encore Electric is a privately held, employee-owned company based in Lakewood, Colorado. For more information, visit www.encoreelectric.com. Caption for Photo: Members of the Encore Electric team accept the 2019 CSEA Grand Award from the AGC during an event on April 3, 2019.